Inside: October is the time to celebrate National Candy Corn Day. 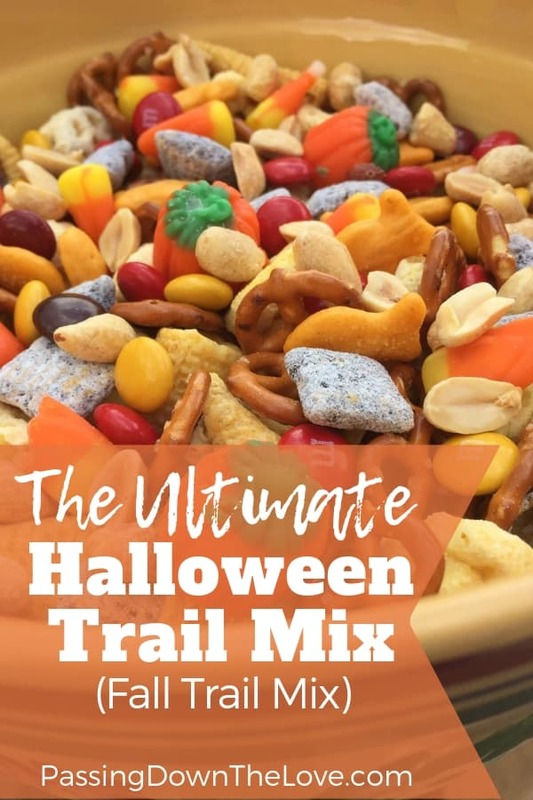 What better way to celebrate than to make a Halloween Trail Mix? There is a special day set aside for every little thing you can possibly imagine. I guess we shouldn’t be surprised to find a day set aside for that sweet little treat: Candy Corn. October 30 is the day to celebrate National Candy Corn Day. A special guy named George Renninger from the Wunderle Candy Company introduced this sweet treat to the world in the 1800’s. That’s a long time ago! The colors of Candy Corn represented the autumn season and the beauty of corn. Mr. Renninger thought the little nuggets would brighten up the long winter days and bring a smile to the faces of those lucky enough to partake. 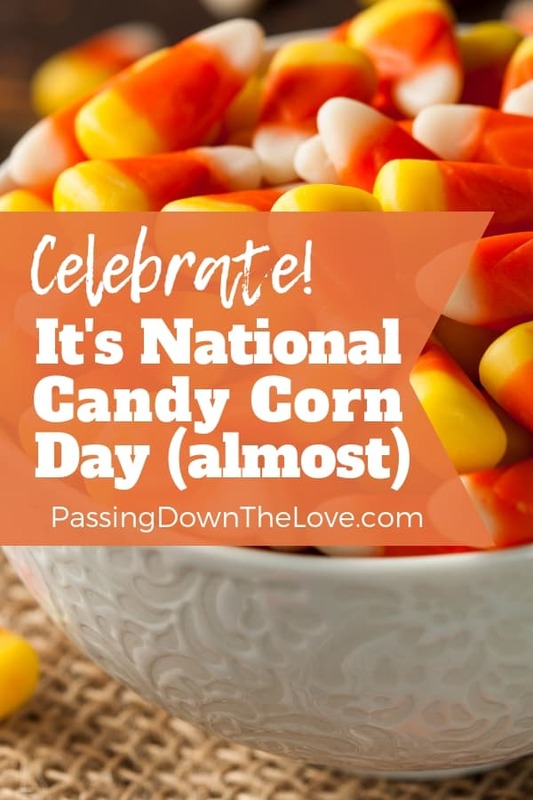 Candy Corn is made with the same recipe today as it was originally – using corn syrup, sugar, water, marshmallows, fondant, and carnauba wax. The original Candy Corn was made by hand. Today machines make the product more quickly and efficiently. You know that normal holidays are often celebrated with food. And since Candy Corn is food, that’s a big plus, right? 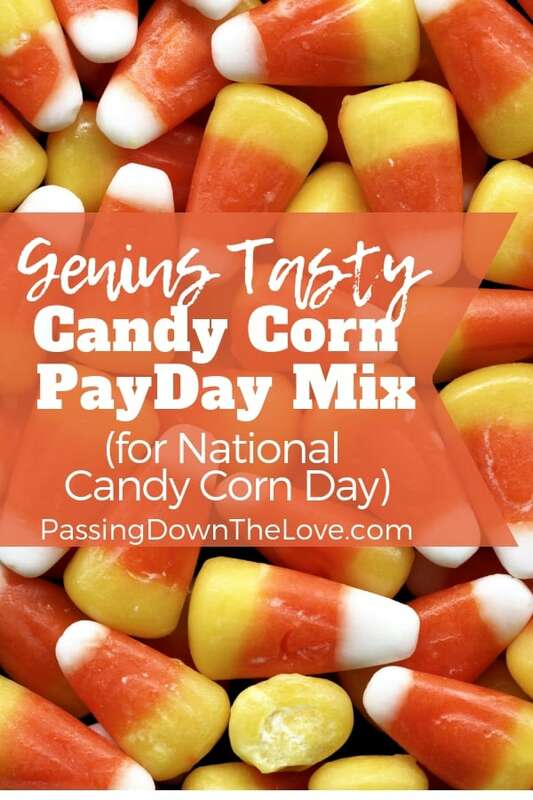 Celebrate National Candy Corn Day by gobbling up these special Halloween treats! There are two recipes for Halloween Trail Mixes using Candy Corn I would like to share with you. This trail mix has a little bit of everything and the kitchen sink. It’s great for a party or get-together and a good use of Candy Corn to celebrate National Candy Corn Day. Tastes Like a PayDay Candy Corn Mix. So mix up one of these little Candy Corn treats for National Candy Corn Day. Or make your own delicious treat using this sweet little morsel. No matter how you mix it, Candy Corn can make your day – your National Candy Corn Day! What treats do you make using Candy Corn? Please share in the comments below. Snap a pic and hashtag it #PassingDownTheLove — I’d love to see your creation on Facebook, Instagram or Twitter.